Let me start with telling you; this actually works. I mean works in the sense that you get noticeable results, immediately. I have several masks that I do regularly and this is definitely my new favourite. I was at first a bit sceptical and questioning if this was for my skin, being 40+. I remember back in the days when mud masks was important for spot treatments. Now I kind of don't have that problem. I am more focused on getting enough hydration and aim for glow and a clean skin, preferably with no visual pores. 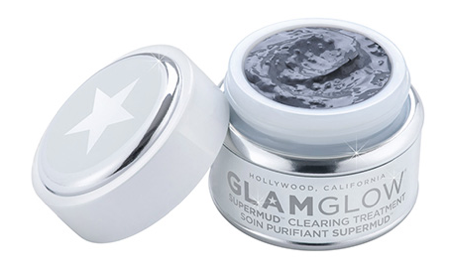 This Glam Glow Supermud clearing treatment really surprised me with delivering just that; super clear skin and glow with noticeable smaller pores. I love a good product that actually does what it says. This you need to try for yourself at home, I for sure will continue using it. Who couldn't benefit from a little glam and a little glow?? Sounds like a fantastic product. I'll have to give it a try.